As we wrap up another year (where does the time go?! ), we found ourself reflecting back and are in complete awe of the sheer amount of great music we’ve received from independent artist from all walks of life, from our Artists Of The Week to our monthly playlist selected from some of our friends in the industry. 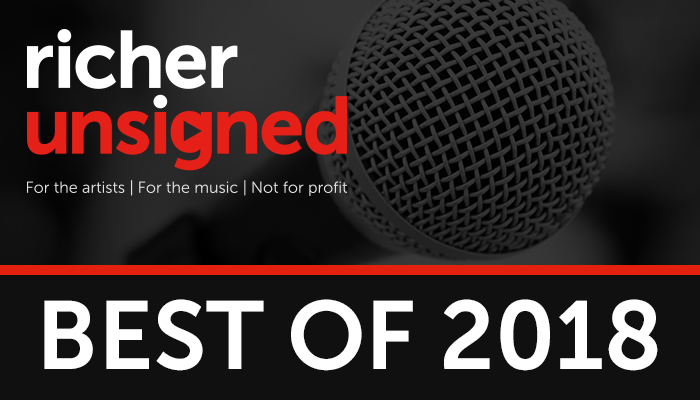 We’ve received a LOT of amazing music this year, so much so that we can’t get it all on one playlist (that’s where the Richer Unsigned website comes in…), but we’ve compiled a handful of some of the highlights for your listening pleasure! We’d like to thank every single artist and band that has submitted their music to us this year – without you, we wouldn’t exist! We’d also like to extend a special thanks to this year’s group of guest curaters for sharing some incredible music too: TalentBanq, Air MTM, Believe, Newton Faulkner, Music Glue, ReverbNation, Cornbury Music Festival, ie:music and Metropolis Studios.